they toil not, neither do they spin. The helicopters have landed. I returned home last week to find them scattered across my lawn, piled in drifts along the curbs, and clogging the gutters. Maple keys are on an exuberant mission of fertility. 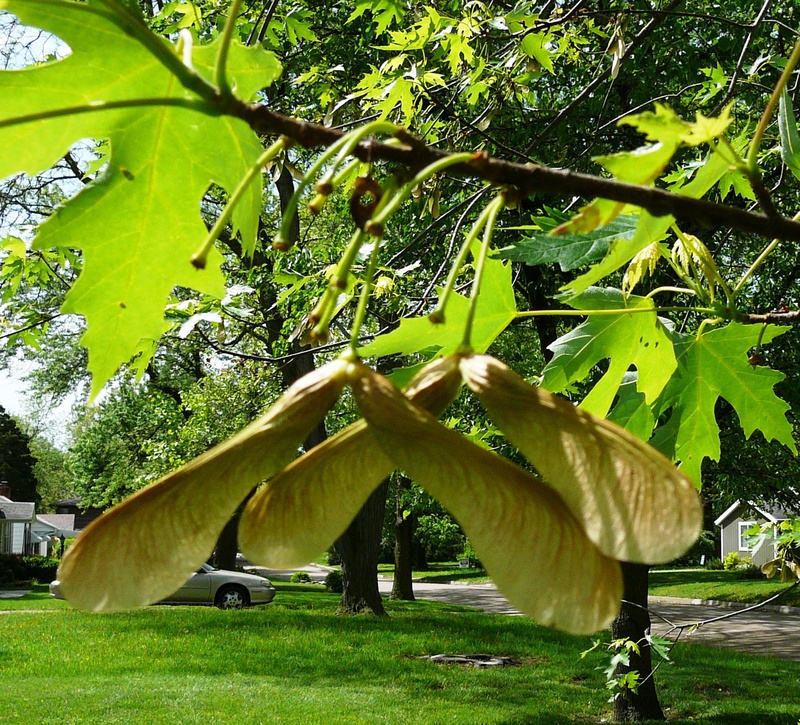 Formed after the early spring flowers bloom on the maple’s branches, they hang in thick green clusters. As the fruit ripens, the color drains out of the wings. 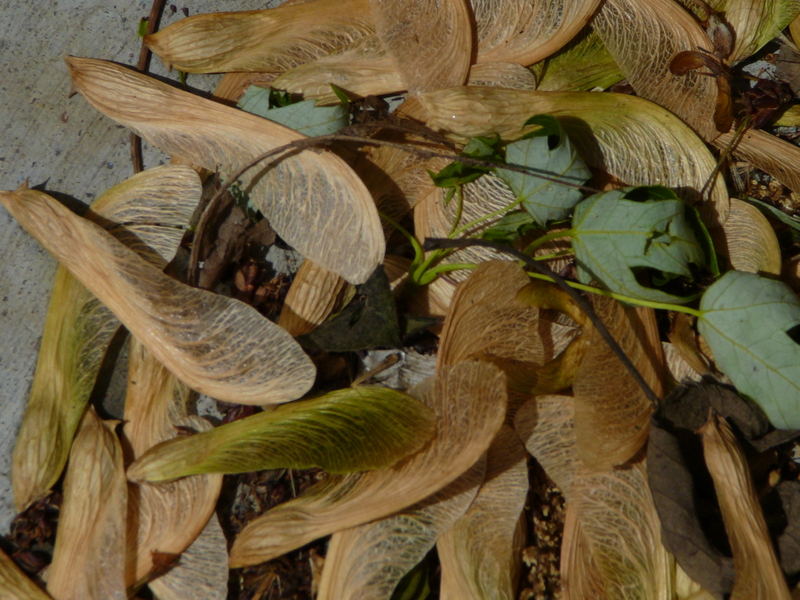 They thin to paper husks and release themselves, sailing off in dizzy circles. These single winged wonders propel themselves by the auto gyrating principle of flight. The wing, which reminds me of a tiny squirrel tail, is counterbalanced by the weight of the seed or fruit. Helicopters in the backyard, grass growing like weeds, a new crop of bunnies down the alley … Life wants to live, to express its live-li-ness. It cannot help itself. What Dylan Thomas called “the force that through the green fuse drives the flower” is at work here in Kansas. What sucked Jesus up from that cold slab and put him back on his feet, trotting down to Galilee, is loose in the world propagating itself in heedless prodigality. Lately I have been noticing that how I evaluate, or interpret my experience and people is less and less important. Oh, my thoughts may be of riveting interest to me. Those closely held opinions, my ego defining and enhancing assessments about how things ought to be can enthrall me. But now, really, am I not merely one maple key turning, floating lazy in one of millions of backyards? Am I not, too, heading for some crack in the sidewalk to insert myself into this good earth? Will I not lie resting, as my skin dries and peels away, as my seed splits and a tiny root weaves down into the substance of things hoped for? What interests me more than my opinions is the seed – being itself, that hidden fuse in the mortal soul, which has amazing resilience and determination to express itself, to live. I see this life in others more and more. I hear it in the subtext of conversation, hidden beneath the skin of things. It murmurs, like leaves whispering in a breeze. 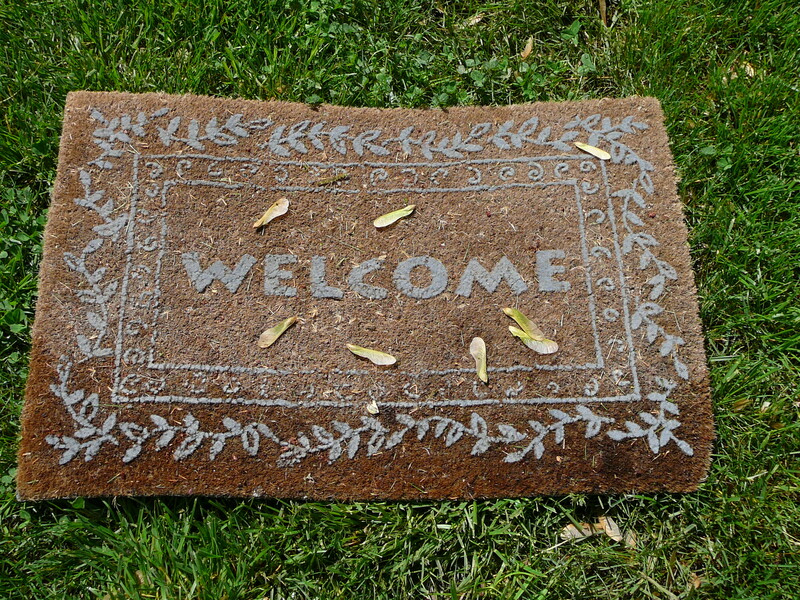 The ache and thrust to live, to sink into some welcoming soil, to be seen, heard, and received is an awesome power encased in the fragile, tissue thin, vulnerability of humankind. As a species we seem always to be wanting things or not wanting things, or being angry or hurt, or disappointed, when our desires are frustrated or denied. Sometimes as rampant anxiety, sometimes as a yearning that tears and consumes, sometimes as a sigh at the end of the day, the seed strains against its waxy membrane, splitting its boundary with the need to grow and endure, sending out seeking tendrils asking: Am I all right? Will things be okay? Am I doing what I am supposed to? Will I get what I want? When I see this collective longing buried under our anger, cynicism, cruelty, and fear, my criticism turn to compassion, my fretting to trust, and my impatience to surrender to the wind. Life possesses us. And it will live through us. Do not believe for a moment that you can stop it. Not oil spills, economic downturns, illness, failure, not even death, not even death can stop it. For life owns death, makes it bow before it, and will reclaim all losses. Consider the maple keys, loose in the skies. Catch a ride. And for God’s sake, for all our sakes, allow the life in your unique and splendid aerodynamic design live. This entry was posted in Contemplation, prayer, Easter, faith, Resurrection and tagged desire, hope, life, maple keys. Bookmark the permalink. Thanks! I read and loved Pilgrim Creek years ago. I am sure Annie’s maple key passage was twirling around in the back of my brain when I wrote this. © Loretta F. Ross and The Praying LIfe, 2009 - 2013. Unauthorized use and/or duplication of this material without express and written permission from this blog’s author and/or owner is strictly prohibited. Excerpts and links may be used, provided that full and clear credit is given to Loretta F. Ross and The Praying LIfe with appropriate and specific direction to the original content.